Are you looking for a camera deal this holiday weekend? Are you searching the Black Friday ads and frustrated that nothing seems like a screaming deal? 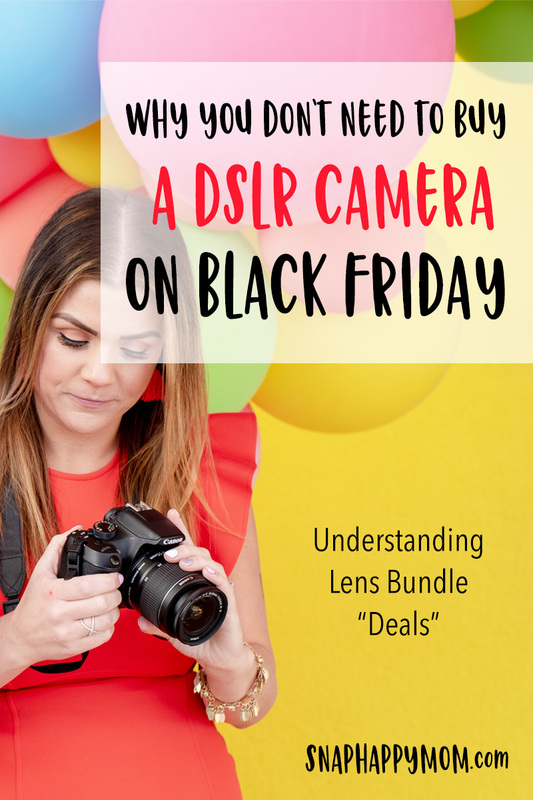 Let me take off all the pressure and explain why you don’t need to buy a DSLR on Black Friday. You have to understand that Nikon and Canon set their prices across the board. So you aren’t going to find a crazy dollar-off deal ANYWHERE, because no retailer is allowed to sell cameras lower than the price the brand sets. Really. All prices on new cameras and lenses are set by Nikon/Canon and they will be the same everywhere. One common thing you’ll see is a “free gift with purchase” special offer. For example, a retailer will throw in some accessories for free, like a memory card or a cheap camera bag. I will warn you that these things they offer are not typically high-end items. Sure, you may use them, but you can purchase most of those things quite cheaply. That doesn’t mean it’s not a “deal,” just recognize that the total dollar amount of your free gifts is still fairly low, and might not be the style of camera bag you actually wanted, etc. Occasionally a retailer will give you a gift card with a purchase, which effectively makes that item cheaper. However, you still have to pay the whole price up front. This is most common with Apple products, but sometimes you see this on camera deals as well. They are doing this on their own dime, trying to get your business and betting on the fact that when you come back to use your gift card, you’ll spend more. 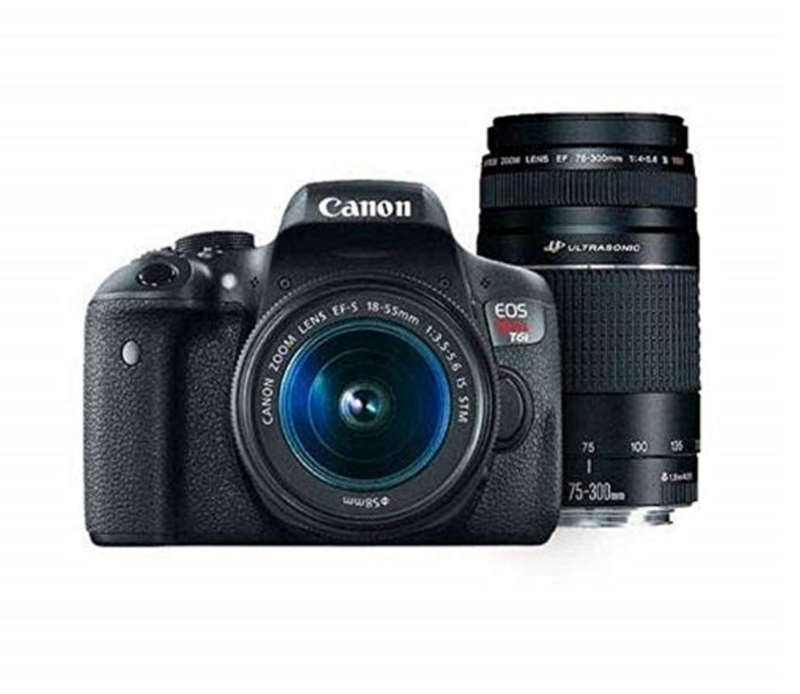 —-> This is the MOST COMMON deal you will see on a holiday weekend: a DSLR Camera that comes with TWO lenses. Basically, beginner cameras already come with a “kit lens” in the box – it’s an 18-55mm f/3.5-5.6 lens. It zooms a little and is great to learn on, but it struggles in low-lighting situations. Now, it may seem like an awesome deal that you’re getting another lens and technically, you are getting an extra “free” lens. However, the second lens that you’re getting has two major disadvantages for moms. First, it’s really zoomed in – it will feel like binoculars! This lens could be really fun if your kids play sports and you want to zoom in on the action, or if you want to use it camping or at the zoo to get up close shots of animals from far away. 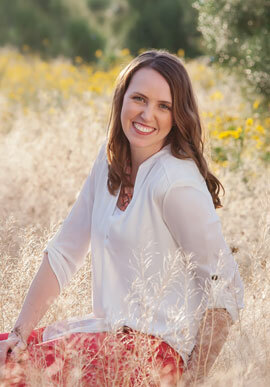 You’ll be able to use it for portraits if you have lots of space outside. But, you won’t be able to get a full-length picture of your child indoors unless you could be 30-50+ feet away. Why you look through the lens everything will be super zoomed in, and you’ll run out of space to back up. Most moms need a lens they can use inside their home, and this lens just doesn’t cut it. Second, this lens is considered “slow” in the photography world because it needs a lot of light to function well. The lowest f-stop on the zoom lens is between f/4.0 and f/5.6, which means it will not be able to get sharp pictures in dim or dark situations. To put that in perspective, I recommend using an f/1.8 lens, which lets in more than 4x the amount of light than this zoom lens does. So, I’m not saying it’s not a good deal to get a holiday weekend bundle – I just want you to recognize that what they’re offering is not what I usually recommend for moms who want to photograph their kids. Different lenses shine in different situations. The telephoto zoom lens works great outdoors when you have lots of space and lots of light. However, I don’t think you should go out of your way to get a two-lens bundle when it’s not what you really need as a mom. If you want to get better pictures inside your home, I would absolutely tell you to spend your money on a fast prime lens instead of the two-lens combo that seems like a deal. You can usually get the regular camera/lens online, and then grab a lens that will really serve you as a mom photographing children. For taking pictures indoors, especially of kids, you want a lens that is a) approaching a wide-angle for use in tight spaces, and b) allows you to let in more light for crisp indoor pictures. So you want a low number for the millimeter designation, and a low f/stop number (which correlates to a wide opening for light). Luckily, there’s a fantastic prime lens that fulfills both requirements at a good price point. I wholeheartedly recommend a 35 or 50 mm lens (which are in the wide-angle to normal category) that goes down to at least f/1.8 (so they let in more light). 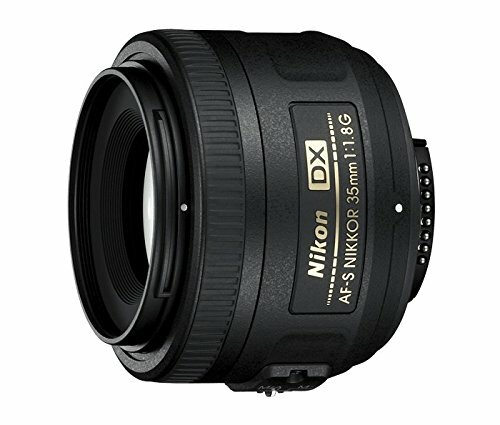 Nikon users should choose the 35mm because it gives you just a little more room over the 50mm (aka it’s not as zoomed in). The slight extra cost is worth it! There is not a 35mm Canon lens in this price bracket, so I usually recommend the 50mm for Canon users unless you have a very small/cramped home. In that case, the 24mm will serve you better (but it’s definitely more wide-angle and has distortion, plus it only goes down to f/2.8). Any of the lenses above will help you get much crisper brighter pictures indoors, without having to use your flash. Click here to head to my post about 2018 BLACK FRIDAY & CYBER MONDAY DEALS! So buy the camera you want from any retailer – they’ll all be the same price. You can brave the crowds, but I find the Amazon price is usually just as good or barely more, and I’d rather shop online. Then buy the lens you really need from these links to take great pictures indoors! Any questions? Ask away in the comments!